Description: Productivity/Educational Self-Improvement Reading Software. Speed Reading Software. Read faster while on your computer. Learn to read faster both on and off your computer. Includes reading/comprehension tests broken out by grade levels. Utilizes two technologies: (1) Rapid Serial Visual Presentation (RSVP), and (2) Tachistoscopic Scroll Presentation. For all ages (professionals to children). Description: Speed Reading, Assessment and Online Reader Software. Improve your reading skills by training with Drills and Games. Track your progress by taking Comprehension Tests (for grades 1-12+). Read efficiently online with the Online Reader. Utilizes Tachistoscope Technology. Very customizable with many option settings and display modes. Includes Startup Wizard Screen. For all ages (professionals to children). Description: Speed Reading, Assessment and Online Reader Software. Improve your reading skills by training with Drills and Games. Track your progress by taking Comprehension Tests (for grades 1-12+). Read efficiently online with the Online Reader. Utilizes Tachistoscope Technology. Very customizable with many option settings and ability to create custom content. Includes Startup Wizard Screen. For all ages (professionals to children). Description: Advanced vocabulary for French learners. More than 2000 words arranged in 52 topics - the human body (inside and outside), history, the motor car, science, the countries of the world, living creatures, emotions, industry, business and finance. plus 5 grammar topics - irregular present tenses (2), irregular future tenses, irregular past participles and irregular feminine adjectives. 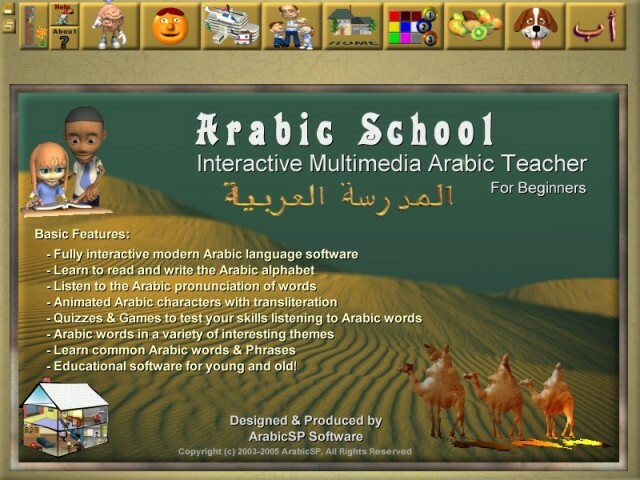 Description: Discover Arabic with our simple, yet fully interactive Arabic language software. Designed for people who want to learn Arabic fast and easy. Suitable for beginners and ideal for children. Animated characters are used throughout the lessons. The application features quizzes and games to make it fun and easy to learn Arabic. 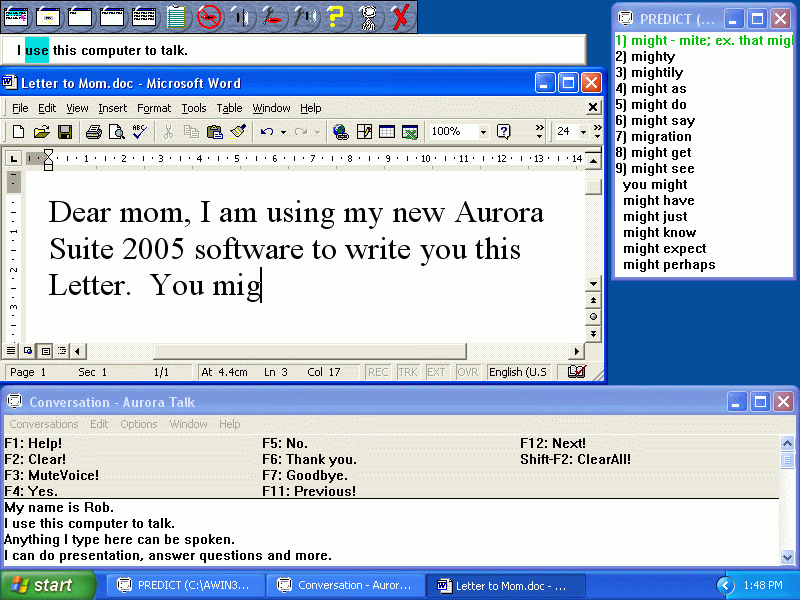 Description: Aurora Suite 2005 for Windows helps people read, write and spell better. It also makes conversation as well as public speaking quick and easy for people who can't speak. Aurora Suite comes in three editions so you can get the features you need at a price you can afford.